Every company has reason to reevaluate their office layout from time to time. From accommodating growth through office expansion to remodeling your space with the goal of increasing productivity, you hold the power to transform your work environment into a place that inspires and equips your team to be the best they can be. The Living Office begins with the human element. Miller identified six fundamental needs that all people share — security, autonomy, belonging, achievement, status and purpose. Living Office is designed to fulfill these needs. Lastly are the tools. Furniture and tools can help or hinder your success. You want to equip your company with the technology and tools you need to achieve your goals. Open by asking, “What is one thing you like about office? This could be the location, layout or even the lighting. Anything goes!” Then, you’ll want to discover what people would change. Find out by asking: “What is one thing you would change about our office?” By limiting responses to one positive element and one negative element, you’ll have a concentrated list of issues that you need to keep to maintain a sense of stability and what needs to be addressed to have a positive impact. When designing our own office, we also ran a number of workshops. The first merely identified all the ways we work, communicate and collaborate with each other and our customers. These are referred to as “modes of work.” For instance, we discovered that certain activities such as informal chats and the more structured co-creation sessions were important, but not supported by our current space. We were also able to identify something we were doing well. That something would be our daily huddle meeting, as well as a warm-up period leading up to the meeting and a cool-down phase after. All deemed important and well-supported. Another workshop focused on the placement of departments, and more specifically, which departments should be beside each other. Arranging these was particularly revealing. For the most part, we got this right in our current layout, and you likely have too. Be warned, though, there is a tendency of groups who currently work next to each other to want to continue to work next to each other because it’s familiar. The reality is that they may not actually collaborate on many projects. Whether a significant downsizing or aggressive expansion is on the horizon, factor these plans into your adjacencies and usage of floor space now. Next, the fun work begins by applying all this research into a first draft floor plan. The space planning should come together fairly naturally because the priorities have been set. Likely, there are some natural constraints as well, such as the available square footage to work with. Either you or your designer should come up with at least two plans: Plan A and Plan B. The more dramatic and different, the better, as you will want to be able to show the extremes and possibilities. In the end, you’ll likely end up with a third finalized plan that combines the best elements of the original plans. Once you’ve settled on a finalized plan, it’s time to share the vision for your new office. Out of respect, I recommend sharing the plans with other members of your executive team first. Then, present to the rest of the management team and others who have been part of the process up to this stage. Finally, host a lunch-and-learn or other optional meeting for those in the company interested in learning about your reimagined space. While attendance for the presentations will be strong, don’t fret if not everyone is interested. Many people simply want to know that they have a desk, chair, computer and a place to hang their coat and eat lunch. Given the variety of personalities in every office, your grand plans may be received with everything from resistance to applause and cheers. An inevitable question during the presentations will be regarding timeline. When do we begin? How long will it take? When will this be done? It’s important to set expectations regarding timeline and change management. A helpful framework we used, and that you and your team can too, breaks down the work to be completed in the next 0-30 days, 30-90, 90-180 or 180-365. 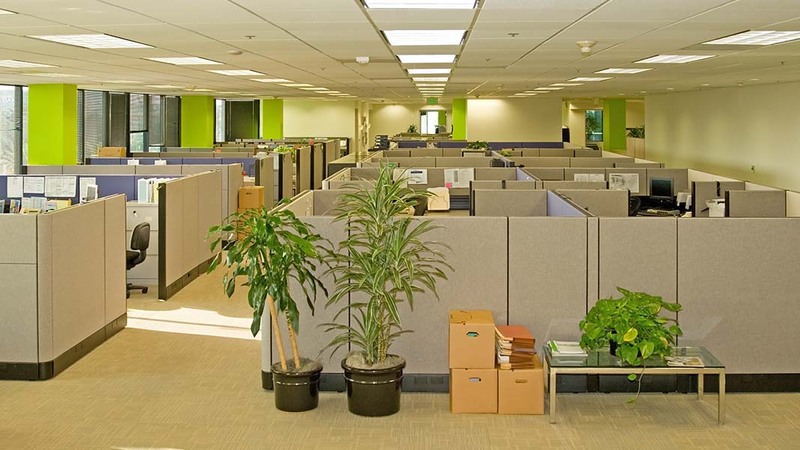 For smaller office renovations, the work can likely be completed within the space of a fiscal quarter. For larger renovations, expect the project to take significantly longer. The intention should be that all work is completed within a year. Your design philosophy will guide you. The time taken to thoughtfully gather input from your team will earn you their patience. The presentation and openness to share your vision will give your team confidence in the plan and allow you to move forward with their support and enthusiasm. Author: David Ciccarelli is the co-founder and CEO of Voices.com, the online marketplace that connects business people with professional voice over talent. The unique blending of his audio engineering background with business savvy and product development afforded David the creative freedom to pursue his passion for innovation.